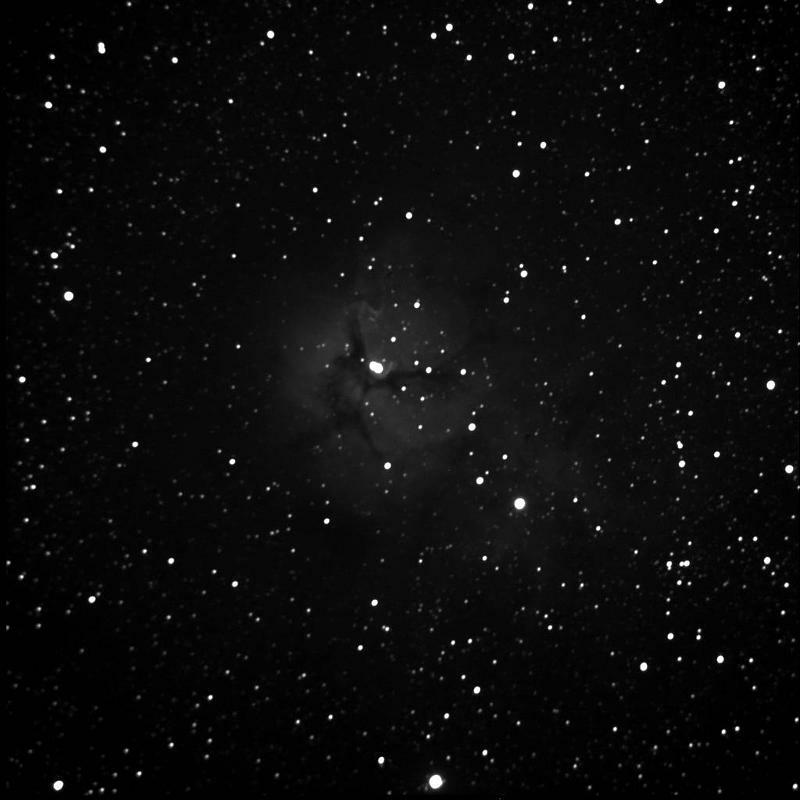 Description of object: M20, a nebula found in a rich region of Sagittarius, is also known as the Trifid Nebula. 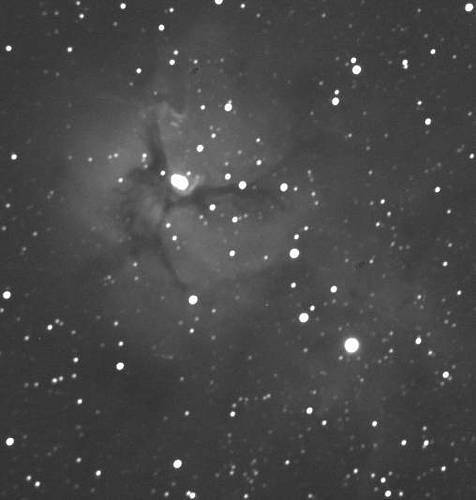 See below for a larger view of the nebula. Image Information: 22:25 June 26, 2002. The above image was created from ten sum stacked images each one being a 20 second exposure. Telescope and Camera Information: Meade 12 in. f/10 Schmidt-Cassegrain with an Apogee AP6E CCD Camera.